ASCO Aerospace Canada (part of ASCO Industries) is a manufacturer of construction parts for Airbus, Boeing and Bombardier commercial jets. The production process is very complex: various machines are operated by workers with different qualifications, during as many as eight different shifts. What’s more, the whole workload changes on a daily basis, depending on how many workers are needed on a given day. The company required a system for automated control over such complicated workflows. Since Asco Aerospace Canada produces highly complex components, they cannot afford any mistakes. In the beginning, they were basing their process on spreadsheets. Unfortunately, information chaos caused by manual handling of so many variables resulted in downtimes and production delays. In order to keep their employees productive and products high-quality and safe, they desperately needed to introduce automation. 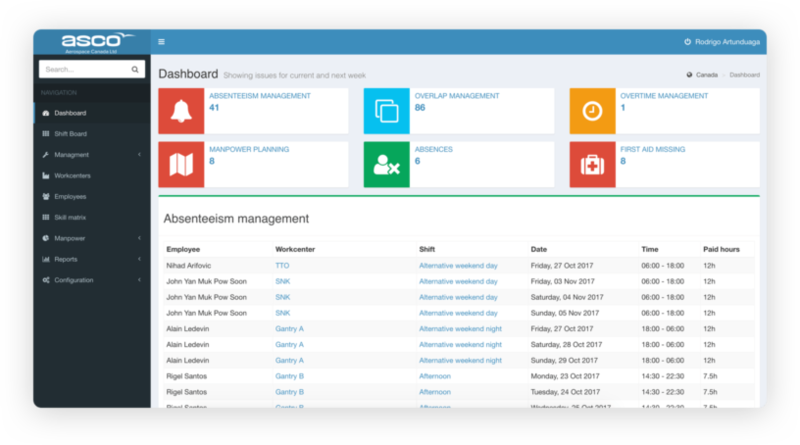 The Software House was chosen to create a customised shift management system that would automatically control all the internal processes. The custom-made platform completely integrated planning, scheduling shifts, matching employees to their designated machines and execution on the production floor. 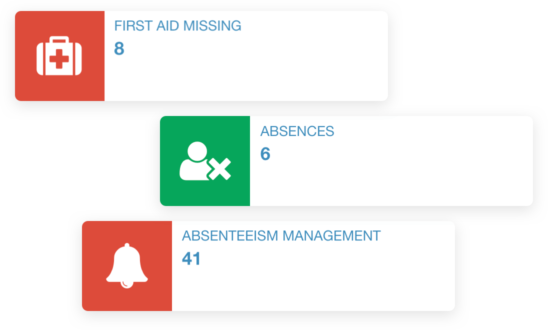 Now, finding a substitution for an absent employee or delegating tasks take seconds. Bye, bye Excel spreadsheets! With the new system, Asco Canada not only noticeably reduced downtimes, but now they can also predict any possible obstacles, find countermeasures ahead of time, avoid losing time and make employees far more productive. Otherwise, they wouldn’t be able to function properly and grow in the future. The project was so successful, that ASCO decided to continue the collaboration. Now, based on the collected feedback, we are adding new functionalities. Reliable project management and access to a wide range of expertise make The Software House an ideal partner. One of the biggest pros of working with them is their constant will to develop the best product possible. They have invaluable experience in analyzing your exact needs and transforming them into working software.